Did you know that one of the most effective therapies to reduce the impact of aging is bio-identical hormone replacement therapy (BHRT)? If you’re carrying extra weight you can’t seem to lose, even though you eat a healthy diet and stay active, you may have a hormonal issue. If you’re deeply fatigued no matter how much you sleep… yes, that could be hormones too. So could a host of other symptoms (see below). None of these symptoms need to be accepted as a natural consequence of aging. 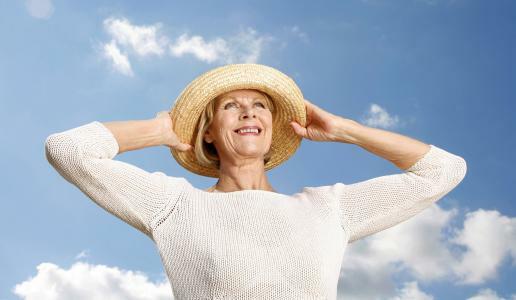 There is a great deal that can be done today to help you feel radiant and healthy as you age, and much of it is due to advances in bio-identical hormone replacement. Any of these conditions may be helped by hormone replacement therapy (HRT). We recommend bio-identical hormone replacement because we feel it is safer than synthetic hormones. It’s common to have hormone levels decline as we age. If you feel that age-related hormonal deficiencies could be part of your health challenges, our Hong Kong integrative clinic offers bio-identical hormone therapy to help balance hormone production. Since these hormones have the same chemical structure as those produced by the human body, effectiveness is enhanced, side-effects are minimized and the therapy is safer than if it used synthetically produced hormones. Bio-identical hormone therapy is particularly effective at relieving menopausal issues such as hot flashes, as well as issues for men related to andropause, which is a drop in testosterone production. Patients also experience improved skin, better sleep, increased brain function and overall energy, more stable moods, reduction in excess weight, strengthened bones, and improved heart and stroke risk factors. BHRT reduces symptoms of perimenopause, menopause, post menopause and andropause. This means it’s particularly useful for a range of issues in both genders aged 40 to 80. Dosage is of course individual, depending on your own symptoms and hormone levels. Testing helps determine the required dosage. Bio-identical hormones are most often delivered as creams and skin patches, although other methods of delivery such as pills, sublingual pills, time-release pellets injected under the skin, vaginal suppositories or even injections.